Possibly the hardest lesson for many to learn is that the brand is no longer the marketer, but the customer is. Even if you manage to tackle this wall of negativity, you often quickly run into the “What if people say negative things about us?” These are just a few examples of everyday 20th century thinking and how it has no place in the modern world if you want to run a successful business. Prepare for a wake-up call, no matter how much you bury your head in the sand, there are hundreds, maybe even thousands of conversations taking place online right now about your brand. You have a simple choice of either embracing this as an opportunity to understand your customers or carry on ignoring what is happening. Sure this sounds slightly simplistic, but this really is the simple choice you have to make and rather than concentrate on the negative, you have a wonderful opportunity to embrace information that has never been available to the previous generation of business owners. Imagine if 20 years ago, you could find out quickly exactly what people are saying about your brand and how this compares with what people are saying about your competitors. This not only allows you to improve what you do but also learn from the mistakes of your competitors and even bring their business your way. Your customers will tell their networks of friends exactly what they think of your products and brand whilst consuming them as well as pre and post purchase which allows you as a business to respond immediately to any comment whether it be good or bad and even strike up a rapport with people spreading positive words about your product as these users will become powerful brand advocates that will rush to your defence should you run into any problems in the future. There is an increasing importance of embracing online influence where bloggers and other highly connected consumers have now tipped the balance of power in their favour. 1. People who traditionally had little influence offline have become very influential online. Guy Kawasaki made a quote that sums things up perfectly – “The nobodies are the new somebodies”. It sounds so simple, but many have misunderstood this message and become obsessed with likes, followers, connections in a quest for the silver bullet, but the bad news is that Social Media has evolved into something much more bigger and there are sadly no short-cuts to success where carefully built relationships and trust are paramount. 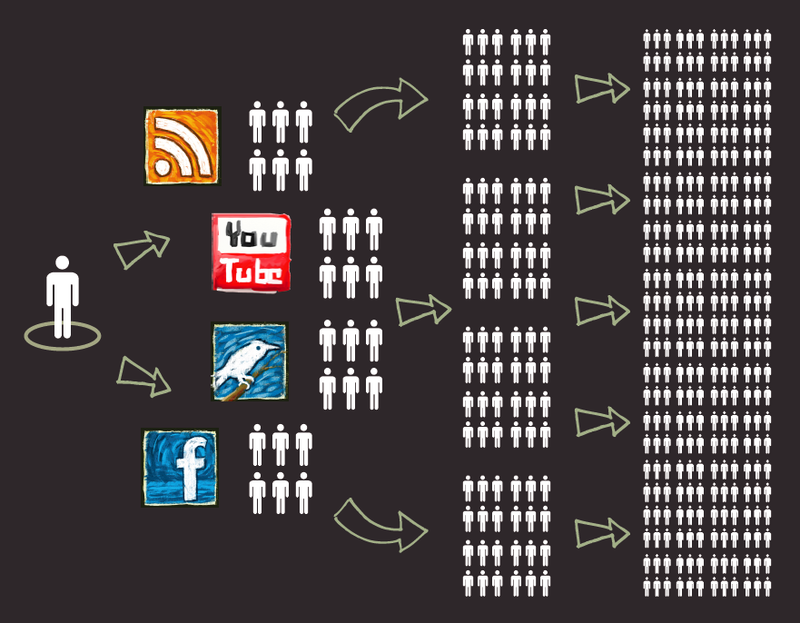 The most powerful people out there are bloggers and other highly connected consumers who use multiple social networks. One comment from them can be seen by thousands of people instantly and if there followers start sharing too, suddenly this one comment can reach hundreds of thousands of people and guess what? this exposure does not cost a penny. This is one of the many reasons why smart companies are concentrating less on shouting about how great they are but spending time listening to online conversations and engaging where necessary to build relationships with influential online consumers within their industry. Although far from perfect, there is a popular site for measuring a person’s online social media influence and it goes by the name of Klout and their aim is to solve the problem of brands needing to reach consumers with a trusted message on social media. The Klout extension for Google Chrome allows you to see online influence ratings of people on your timeline. Klout uses social media sites Twitter, Facebook, Google+, LinkedIn, Foursquare, Wikipedia, and Instagram data to create Klout user profiles that are assigned a unique Klout Score of between 1 and 100 which allows you to see instantly what kind of social reach your consumers have. There is a separate argument on just how accurate the Klout algorithm is, but there is no doubting that this is a very useful guide, especially when used with the Google Chrome extension that allows you to view people’s Klout score within the Twitter interface which is very handy for trying to strategically choose who you retweet to build your personal and professional brand. The extension retrieves the Klout score for each person in your Twitter timeline and displays it next to their name as you browse Twitter on the site. Finding influencers is the first step in any good brand advocacy program; but the rewards allow you to raise awareness of your brand, increase customer loyalty, website traffic, awareness and social reach of your brand by simply listening and engaging with your customers. So the next time you are asked the dreaded ROI questions, you should be armed with enough information to pave the way for your business to be not only successful but relevant in this digital age.